We all know that the roof is more than just the top layer of the home! A roof system is designed to insulate and maintain the structure of your home. It is a significant investment, so it is important to keep your roof in prime condition for as long as possible. One of the most important parts of your roof’s upkeep is proper roofing maintenance, and it should never be neglected. As roofs are constantly exposed to the elements such as rain, snow and sunlight, they need regular maintenance and inspections. A poorly maintained roof develops problems sooner than later. Why Professionals for Roof Maintenance? In simple words, scheduled roof maintenance is equivalent to an annual physical check-up. Hiring professional San Antonio roofers for regular maintenance means they would inspect your roof inside and out for cracks and damages and inform you which part of the roof needs repairs. A trained professional can spot even the smallest potential roofing problems and provide you with an accurate assessment of your roof. They draft a repair and maintenance plan that works as a long-term solution. Here we’ve listed a few reasons to consider regular roof maintenance. Frequent and sudden weather changes can cause huge risks to your roof system. Whenever there is a change in the weather, your roof is susceptible to suffering and prone to damages. Regular roof maintenance identifies the problems and damages, making it easier for you to apply solutions fast. Due to the design and structure of your home, your roof may experience intense traffic and requires regular maintenance. If the roof isn’t installed properly or made up of faulty materials, it will give you regular headaches. Professional roof maintenance or inspection helps you to detect problems early and keeps your roof in proper condition. Regular roof maintenance helps reduce the risk of unexpected repairs and enables you to enjoy much better protection. It is also one of the ways to protect the entire house rather than protecting the roof only. Professional roof maintenance helps homeowners save more money by identifying problems early that could have grown increasingly worse over time. Roof maintenance can save you more money compared to roof replacement. Roofers recommend roof maintenance in spring and fall, and after major weather events, such as high winds and snowstorms with freezing rain. Regular maintenance includes visual inspection of the roof system, detection of problems, corresponding repairs and more. They would perform routine maintenance and repairs to membranes and systems to make them outlast their warranties. 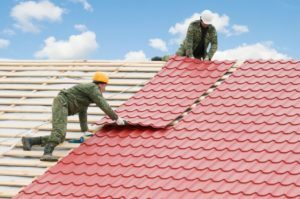 A complete roof inspection should be performed by the best roofers in San Antonio TX who are authorized to carry out the repairs in different roof systems.